2FM presenter and DJ Jenny Greene has insisted that she’s happy she gets “equal billing” to her co-presenter Nicky Byrne on the name of her radio show. 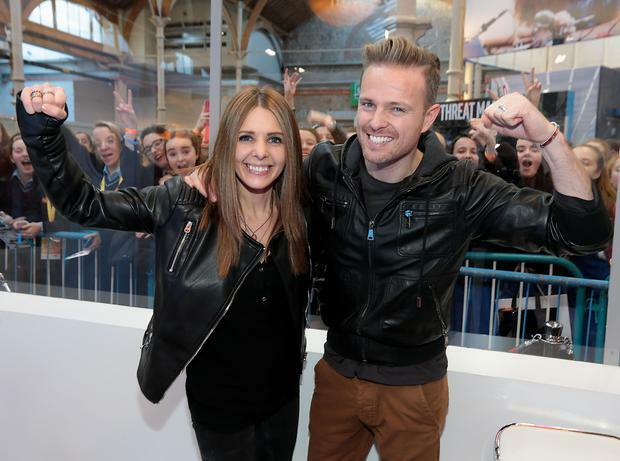 Greene and Byrne's weekday show “The Nicky Byrne Show with Jenny Greene” on 2FM has 148,000 listeners, according to JNLR figures released this week. Greene insists she does not want the show’s name to change. "I consider it equal billing," said Greene. "I've no issue with it and to be fair, when we started the show first I'd never done daytime radio. I was in a room by myself playing records. I didn't consider myself a presenter. And I was very happy to do that. "I'm extremely happy with the show and, like, we've no issues. Nicky doesn't care what it's called, same as I don't care." "I said, 'If we change it now we're actually making an issue of it; we're making it seem bigger'. So I was like, 'Just leave it - doesn't bother me'." "It doesn't matter to me what it's called! And just the principle of it now - I'm not changing it," she insisted. Greene said that when she and Byrne started working together they didn’t know each other, but now they’re “very close”. "I would consider him a very close friend now"
"I'm very happy," Greene answered. "I love coming into work." "I have to say, when we started the show we didn't really know each other. We'd met a couple of times," Greene recounted. "And since then... You spend four hours literally every day with someone - more than you do with your own family. And it's a bonus when you get on, but we actually get on amazingly. "I would consider him a very close friend now. He's my go-to in an emergency that I will always phone, which I never thought that would happen."